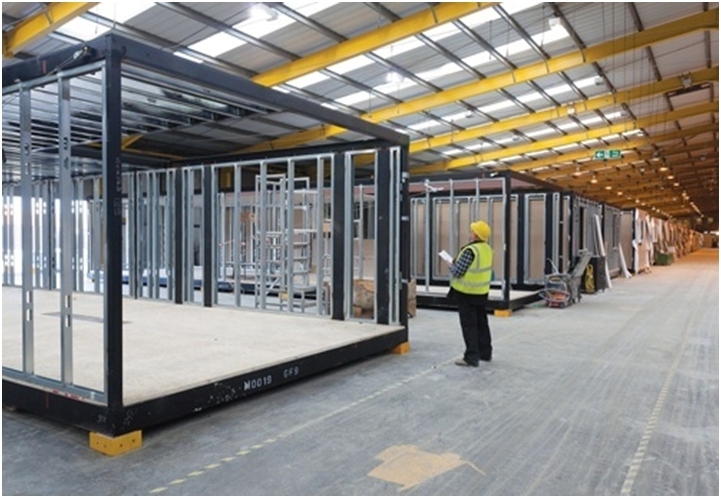 Construction based on volumetric modules is a method of construction, which a significant part of the construction (sometimes all) moved from the site (on-site) into the assembly hall (off-site). In the area of assembly hall runs assembly volumetric modules, which are then transported to the site where the final assembly takes place. Modules are separate volume (volumetric) unit consisting of a support structure, sheathing and interior. The speed of construction and faster return on investment are the main reasons why this technology is applicable in the construction of a wide range of structures, from simple houses to complex structures, being able to applying demanding thermo-technical requirements. Other major benefits of the technology include increased control costs and construction time, labor in view of the assembly hall are not limited by current weather conditions. Similarly, this model may carry information about your interior equipment, which can be realized with the individual volumetric module on the factory floor. By modern approaches processing of virtual reality we can eliminate mistakes that can arise in designing or building construction. Within the proposal, our intelligent system can highlight the specific details of construction which is incorrectly designed. Staff may have within realization throughout the process equipment available to mediation of virtual reality through which they may, at any time, verify intricate details in design. 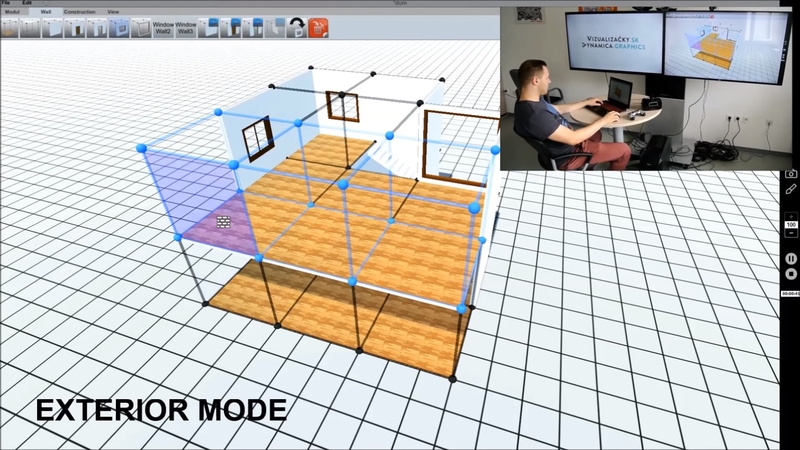 Similarly, during assembling modules on site, with equipment for the mediation of virtual reality is possible to simulate manipulation with modules, due to the current situation on the site. Since these devices work with real-time information, each modified information subsequently edits the information attached to it. At the phase of building using modern instruments processing will find virtual reality application mainly in interior furnishing. 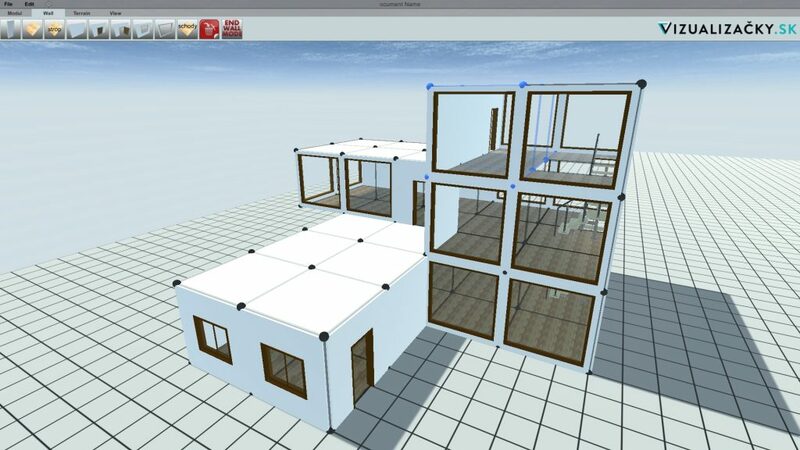 User of buildings can use this tool to easily arrange the interior only in a virtual environment where „real“ sees the interior design of the building before they invest in the purchase of equipment. Is possible to avoid the mistake during furnishing because user can notice mistake in virtual environment in the phases of furnishing. In the end result could also find out that in view of the interior fittings building will be „small“. Throughout the proposal can keep track of the actual cost of construction and its equipment.The development of new technologies is currently very fast. This development has contributed to the use of computer technology in various fields of human activity. One of the phenomena of new technology is virtual reality. Virtual reality is a term now often mentioned. Virtual-real system is an interactive computer system, creating the illusion of a non-existent at the time, only synthesized space, or more precisely, we can talk about the so-called perfect simulation in an environment close connection between human-computer system. These systems find application in medicine, military industry, automobile industry, but also in construction and architecture. In the area of construction industry is the potential of modern tools of virtual reality enormous. Civil engineering is the only industrial sector characterized that each of the product is original and is not possible to be realized two identical construction. Similarly, any structure, depending on its size, consisting of thousands of different building elements and processes. This is what makes the construction area great for use tools of virtual reality. Due to the complexity of the procurement process for construction is therefore necessary that participants of construction have overview of the design and cost indicators at any time of construction contracts. These indicators can radically affect the construction process in wiew of the duration of the building and therefore the total cost of the construction contract. There are several studies and approaches to the use of modern approaches processing virtual reality in construction, especially with regard to augmented reality (described in the second chapter), but because the technology is new, not yet naturalized in construction. That makes this technology attractive for the new projects (start-up).New technologies and construction methods that detect the continuous development are increasingly linked to information and communication technologies. Procurement process of structures can be modernized already at the stage of ideas, studies, projects, and thus at the stage before the actual execution of the works. Because of that the modern methods of virtual reality processing effectively serve to us. The designer can use tools of virtual reality processing and simulation environment to design basic shapes of object witch is composed from volumetric elements. Thus modeled object carries information about its basic shape, dimensions and cost indicative of the project. Model of future building may also carry other information such as the time of construction or the possibility of its interior fittings. In the design process virtual reality tools can improve the work of the designer who obtain a modern tool for more detailed project proposal, as well as the appearance of the equipment. They also have the possibility of simulations of various conditions such as wind flow or lighting in various stages of the day and the year. Finally able to planners and architects present their ideas to the investor through realistic simulation outputs and higher informative value as by traditionally used methods. The created model by designer or architect may have more detailed information regarding the construction budget, the duration of realization of construction but primarily serve as an information source for the production phase of volumetric modules. Thus, we can talk about a wide application of virtual reality processing tools to design sets of modules for the required parameters of the building, the production of individual modules, their transport, handling on site, etc.. This combination of modern construction methods based on volumetric modules and modern approaches to the processing of virtual reality thus creates a huge potential for streamlining the entire procurement process works. The construction design realized on the basis of volumetric modules can enter directly into production through a detailed description and visualization of individual modules, which were realized by compiling of objects in virtual reality tool. Similarly, this model may carry information about your interior equipment, which can be realized with the individual volumetric module on the factory floor. By modern approaches processing of virtual reality we can eliminate mistakes that can arise in designing or building construction. Within the proposal, our intelligent system can highlight the specific details of construction which is incorrectly designed. Staff may have within realization throughout the process equipment available to mediation of virtual reality through which they may, at any time, verify intricate details in design. 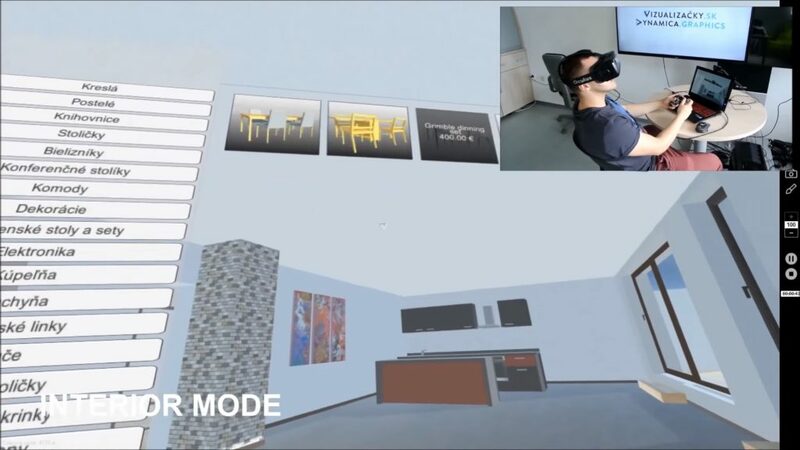 Similarly, during assembling modules on site, with equipment for the mediation of virtual reality is possible to simulate manipulation with modules, due to the current situation on the site. Since these devices work with real-time information, each modified information subsequently edits the information attached to it. At the phase of building using modern instruments processing will find virtual reality application mainly in interior furnishing. 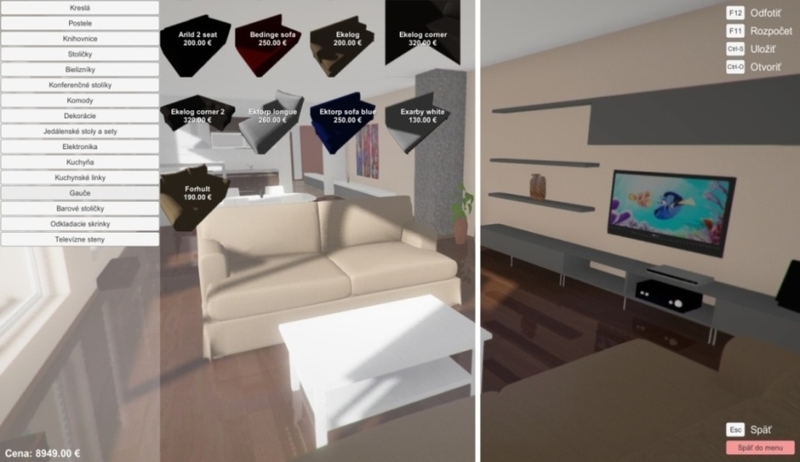 User of buildings can use this tool to easily arrange the interior only in a virtual environment where „real“ sees the interior design of the building before they invest in the purchase of equipment. Is possible to avoid the mistake during furnishing because user can notice mistake in virtual environment in the phases of furnishing. In the end result could also find out that in view of the interior fittings building will be „small“. Throughout the proposal can keep track of the actual cost of construction and its equipment.